Ours is the well-established firm involved in providing systematic OET course Online.Occupation English Test (OET is our speciality. We offer one-to-one online classes for internationally recognized Cambridge exams, which are trusted and recognized by leading educational institutions and employers. Our professional teachers provide Skype classes for YLE, KET, PET, FCE, CAE and CPE. OCCUPATIONAL ENGLISH TEST (OET) is a test recognized and trusted by healthcare boards and councils in Australia, New Zealand and Singapore. Many organizations, including hospitals, universities and colleges, accept OET as proof of a candidate’s ability to communicate effectively in a demanding healthcare environment. In this test, there is an assessment of all four language skills, which are listening, reading, writing and speaking; with an emphasis on communication in medical and health field. 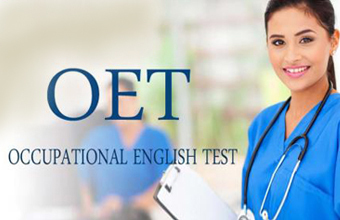 Since 2011, we are preparing health care professional online from all over the globe for OET tests. These lessons are always tailored according to your weak areas. If you’re busy, or someone living away from a city with libraries and classrooms, studying online, this is a great option because you can study anywhere and anytime. There will be no wastage of commuting time, no parking hassles and you can study anywhere, anytime at a place that suits you. A through paper-based test of all areas of language ability. Available upto 10 times a year. Results are published online approximately 15 Business Days after the test. Official statements of results are posted following the publication of results online. Graded from A (highest) to E (lowest) to each subtest- there is no overall grade for OET.